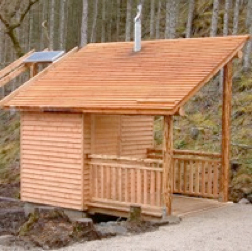 The NatSol Full Access was developed to provide a fully accessible composting toilet on remote sites. The urine separation takes place in the pedestal and diverts urine to a small soak-away in the ground. This avoids the need for troublesome drainage pumps or for the chamber to be above ground with long ramps for wheelchair access. 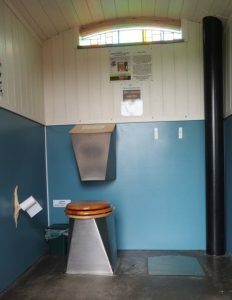 This is the toilet which established NatSol’s reputation for excellent, odour free waterless toilets and is the market leader for low to medium use remote sites. Use links on the right or at the bottom for information on building options. 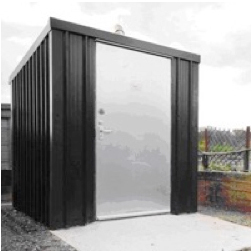 Easy clean, anti-fouling, urine diverting stainless steel pedestal. Passive ventilation stack and wind cowl for odour free operation. Generous twin chambers to allow good in-situ decomposition. 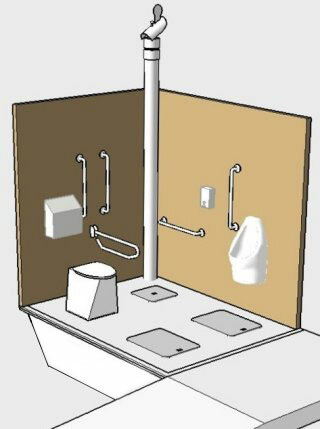 Full wheelchair accessibility (review as pdf). Ceramic waterless urinal with no blockage-prone trap or consumables. Compost chamber forming floor and foundations for building. 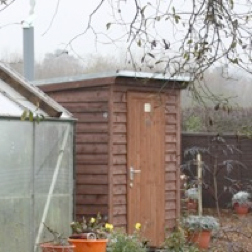 The compost chamber usually extends 800mm below ground. 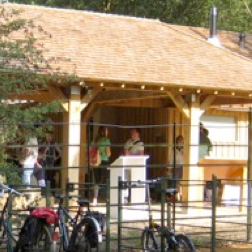 It is divided into two sections used alternately on an annual cycle so that when compost is removed it is at least one year old and nicely decomposed. 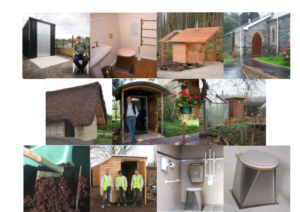 Urine is diverted and sent to a soakaway – rather than relying on evaporation, a method better suited to warmer climates. Click here for more details which help explain why we are the UK market leaders. 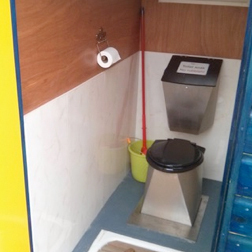 The Full Access dry toilet is available with a standard NatSol timber or metal building. We can also provide bespoke buildings or all the components to integrate into your own design. Please select a building type on the right of the page for more information.